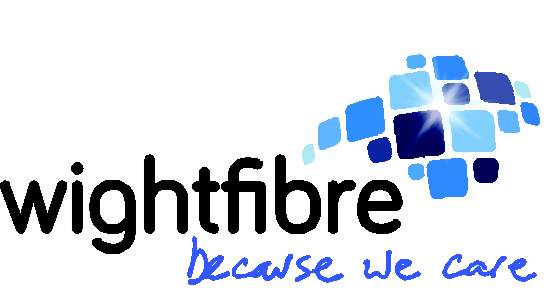 Island tourism businesses are being asked to direct their visitors to the Freephone 111 service and GP surgeries. The Isle of Wight NHS Trust and Clinical Commissioning Group has written to all hotels, B&Bs, campsites and tourist destinations on the Island. 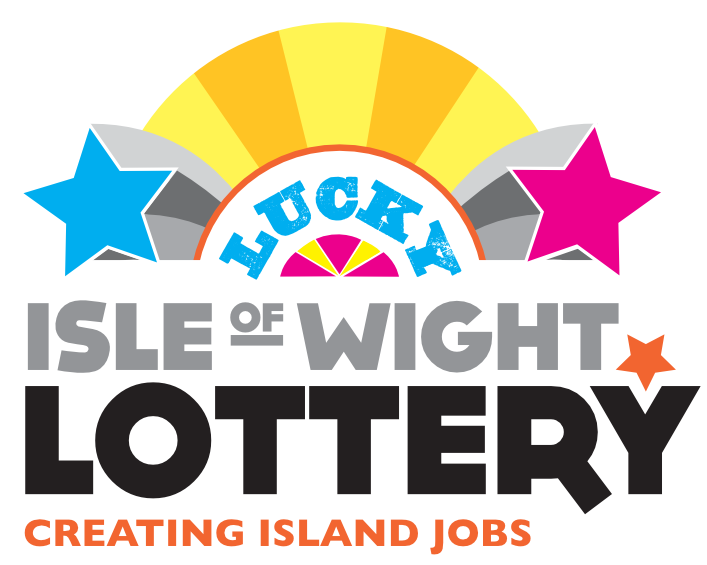 We are writing to you following a recent upsurge in visitors to the Island. 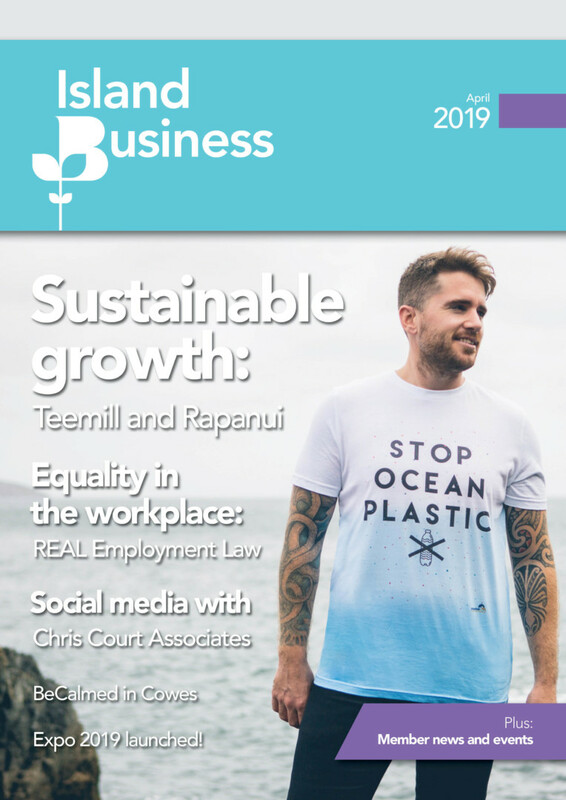 An increase in tourism and visitors to the Island is good for the economy and we welcome this but it can also place pressure on health services. 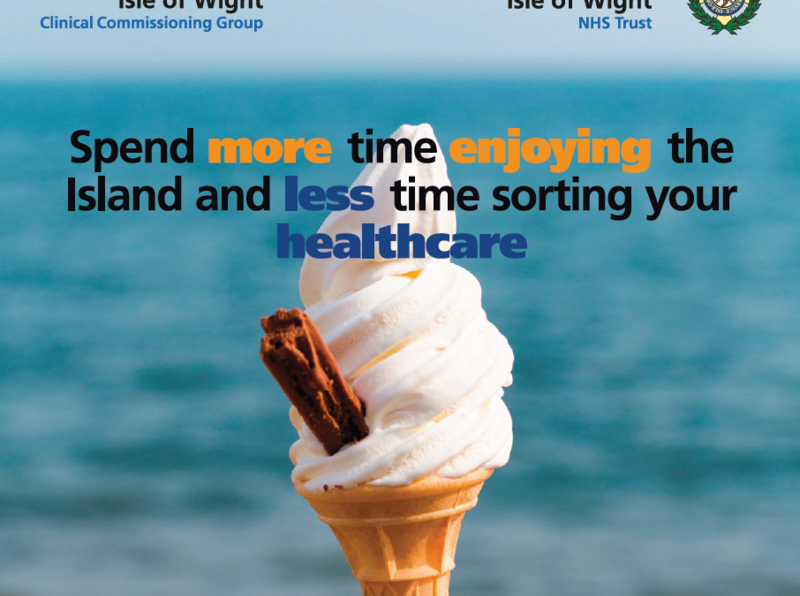 We want to make sure that visitors get the best possible service from the NHS on the Island and that we help visitors to enjoy their time here. We also want to try and avoid long waits in the Emergency Department at St. Mary’s which are unhelpful for visitors and Islanders alike. 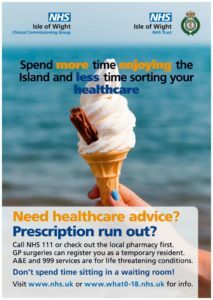 The key thing to remember and advise visitors is that if they have a healthcare need they should call the Island based 111 (Freephone 24/7) service for telephone advice or visit one of the many pharmacies on the Island to speak to a highly qualified pharmacist. This will save many visitors the trouble of travelling into St. Mary’s Hospital and the possibility of a long wait. 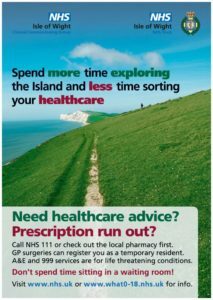 It is also worth mentioning that our network of GP surgeries have arrangements in place to accept visitors to the Island as ‘temporary residents’ and deal with any health issues in the same way as they would a permanent resident. 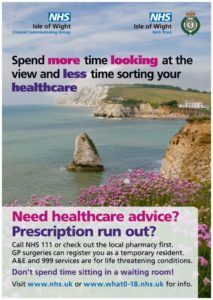 Many of our GP practices now have longer opening hours including weekends. 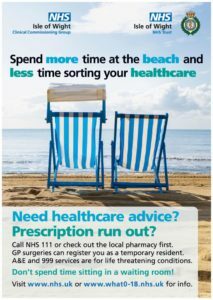 Details of all services on the Island, including pharmacies and GP practices and helpful advice about healthcare can be found on the NHS Choices website at www.nhs.uk. Visitors to the Island may also find the Isle Help ‘Isle Find It’ website at https://islefindit.org.uk/ useful for finding services. Thank you for your co-operation and we wish all visitors to the Island a happy and healthy stay.